This plec was about 5 cm long when we put it in the tank about a year ago. It's now about 15 cm long and magnificent. It's nocturnal so I never get to see him in the daytime but he's very active just when it's time for me to go to bed. 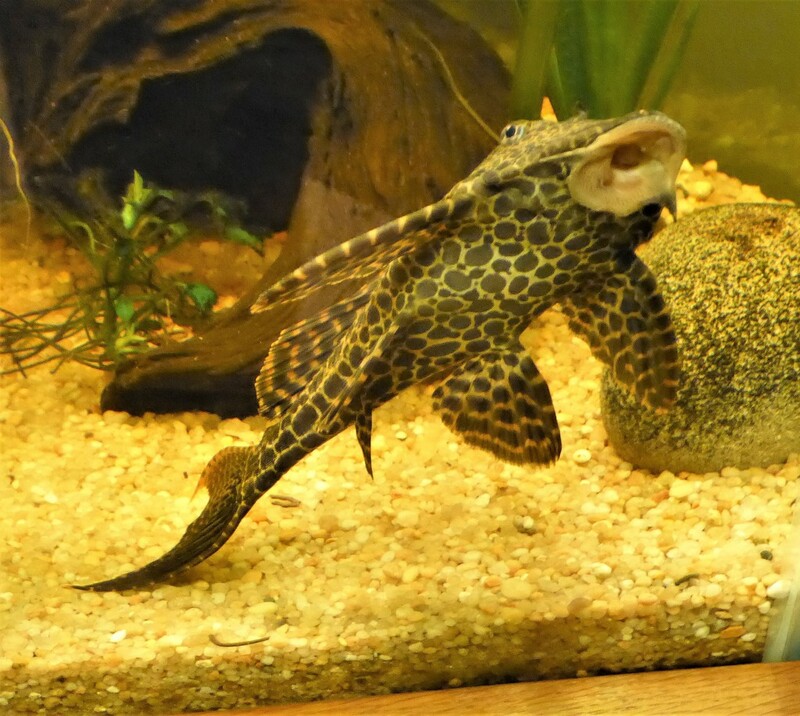 It belongs to the catfish family and it does a good job of keeping the glass, rocks and gravel clear of algae. We're very fond of him. Actually we have no idea whether it's a he or a she. Interesting spotted fellow. He does look like he’d make a great vacuum. What a strange looking fish, but quite exotic. It must be a she because it has a big mouth, haha. No offence - just a joke. My son-in-law had one in his aquarium before they moved house. They do grow rather quickly and do a good job. Nice capture of this one.